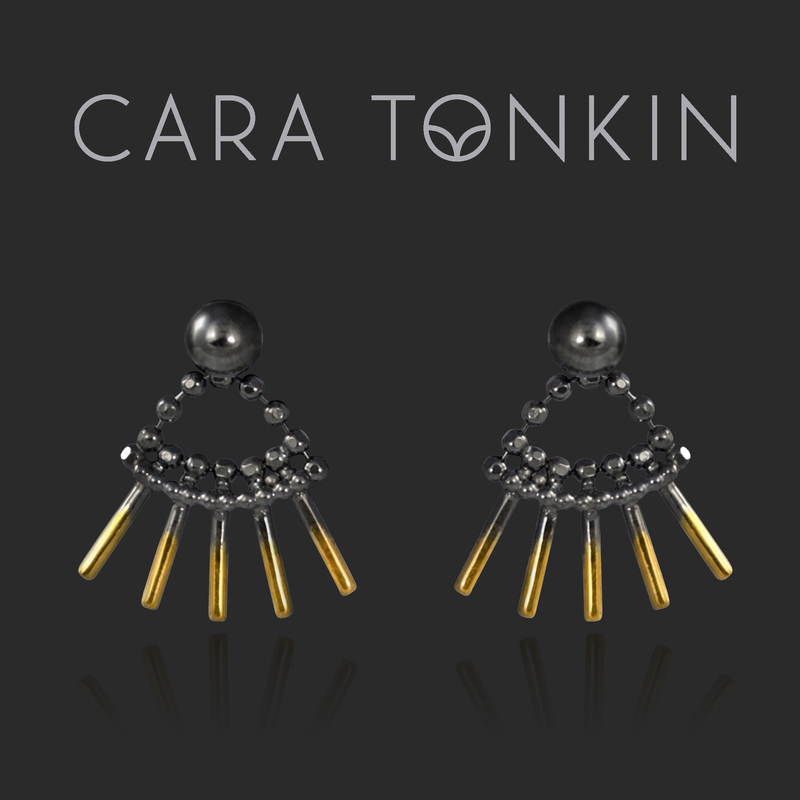 Cara Tonkin designs beautiful, elegant and bold jewellery for stylish and strong-minded women. Her work marries classic and contemporary design to create unique, timeless pieces. It is jewellery that comes to life when worn – intricate, playful and tactile, yet expressing glamour and elegance. The daughter of two artists, Cara grew up surrounded by creativity both at home and in the inspiring city of Brighton. After training at world-famous art school Central St Martins and achieving a First Class Honours degree in jewellery design, she returned to Brighton to establish her studio where every piece in her collections is made. Cara is a lover of the Art Nouveau and Art Deco movements and is a believer in the philosophy of Art Nouveau: that art should be a way of life. The stylized and symbolic organic forms of Art Nouveau and the streamlined, sculptural and decadent aspects of Art Deco provide endless inspiration.